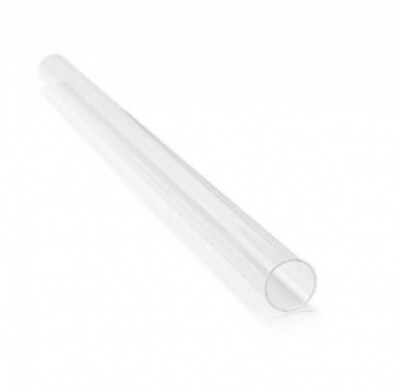 The QS75 Quartz Sleeve for the SS Range of commercial UV systems (including the SS75, SS1475 & SS1575). The QS75 is high quality quartz sleeve. Buy the QS75 Quartz Sleeve for the SS Range of commercial UV water treatment units including the SS75, SS1475 and SS1575. Buy from Osmio Water for the best prices and free and fast UK delivery. Always remember to turn off the water and power (including unplugging the plug from the socket) when changing your UV lamp and Quartz Sleeve. When changing your UV lamp, always remember to try to remove the UV lamp bulb as stright as you can to avoid damaging the Quartz Sleeve.